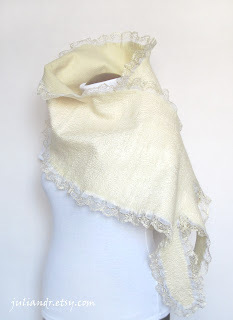 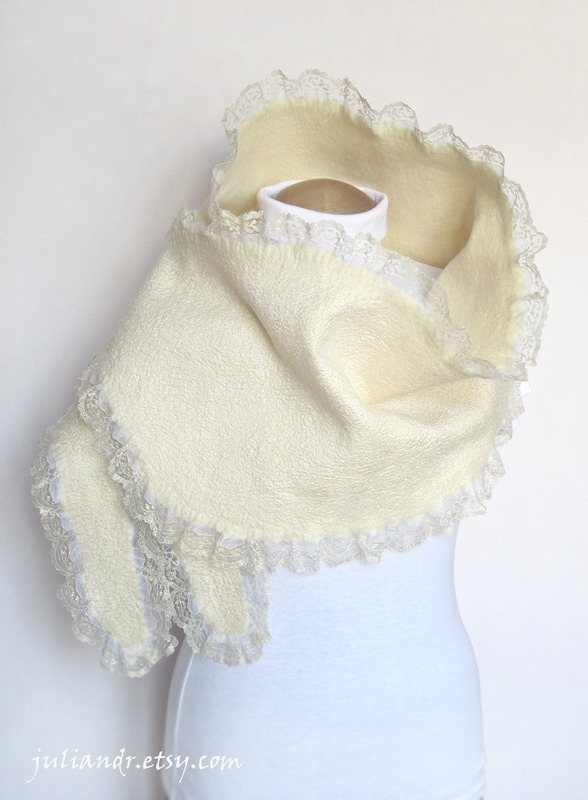 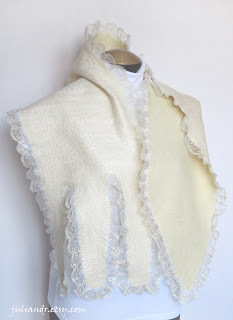 This luxurious ivory nuno felted shawl is made of pure undyed British Wensleydale wool. 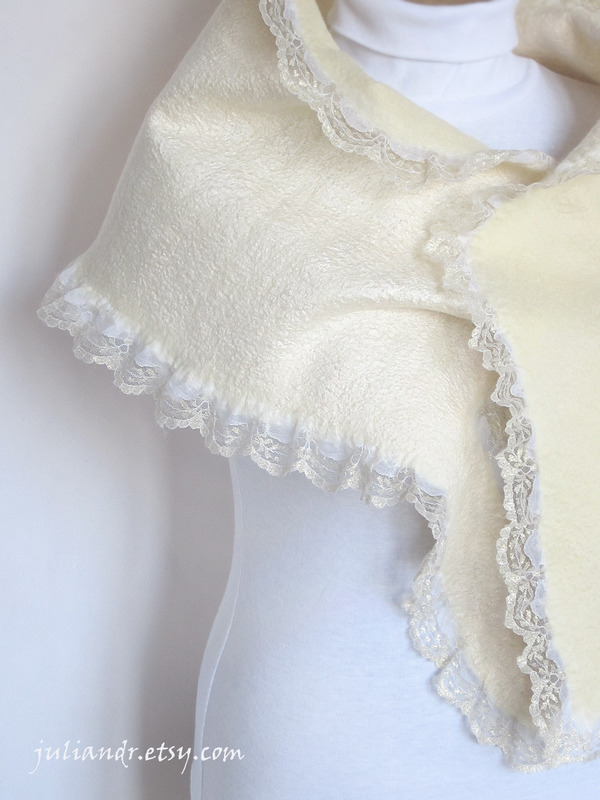 One side of it is covered all over with smooth and shiny tussah silk threads, so the shawl has absolutely gorgeous combination of woolen and silk textures, supplemented with the fine white and golden lace. 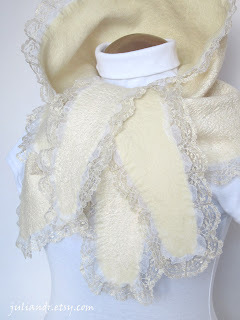 This wrap is totally seamless -- the lace was felted together with wool without any stitching. 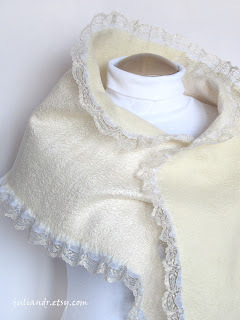 Approximate measurements: 150x30 cm --> 59"x11,8" without lace fringe.